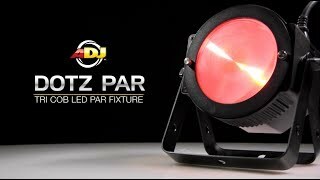 Considering purchasing the American DJ Dotz PAR? Have questions? Ask people who've recently bought one. 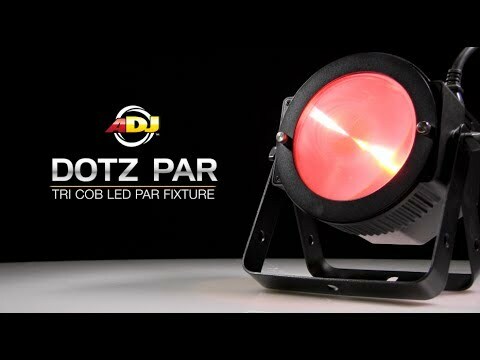 Do you own the American DJ Dotz PAR? Why not write a review based on your experience with it. Does what it says on the tin!! Great compact, well built fixture with a superb LED COB Chip inside. Perfect colours made and crisp shades. I did have a problem with the fixture but ADJ and DJKit easily resolved the issue!! This is an amazing light. Super wide angle. Colour tones are superb. A big step forward compare to LED. Beautiful macros. Got 2 of them but will buy 2 more asap. Highly recommended. Super fast service djkit! Seen a video for American DJ Dotz PAR online or have you own video? Check out American DJ Dotz PAR on DJkit.com!